Get ready for more fireworks. The largest online poker tournament in history resumes today, 29 November as partypoker gets set to host Day 1B of its landmark MILLIONS Online. Kicking off at 19:00 GMT, partypoker will be looking to build on the record 1,574 entries that helped generate a stunning $7,870,000 in player buy-ins on 25 November, marking Day 1A down as the richest ever single flight in the poker site’s entire online and live event tournament roster. MILLIONS Online is the largest online poker tournament in history, and partypoker has succeeded in achieving 39.4% of the $20,000,000 guarantee in a single day with four more Day 1s yet to take place. The overall MILLIONS Online winner is guaranteed to receive a record $2,500,000, while the top four finishers will all emerge as millionaires. Giving as many players as possible a route into the historic event, the site is laying on over 1,000 guaranteed seats via a series of $530 buy-in Mega Satellites running from 25 November, right up until Day 2 on 4 December. Kristen “Krissyb24” Bicknell of Team partypoker can count herself as one of the 83 players to have secured their $5,300 entry via yesterday’s round of Mega Satellites, with partypoker ramping up its satellite schedule today ahead of Day 1B. The guaranteed Mega Satellite seats on offer from 17:00 today have been doubled to 150, bringing the day’s total seats guaranteed to 160. 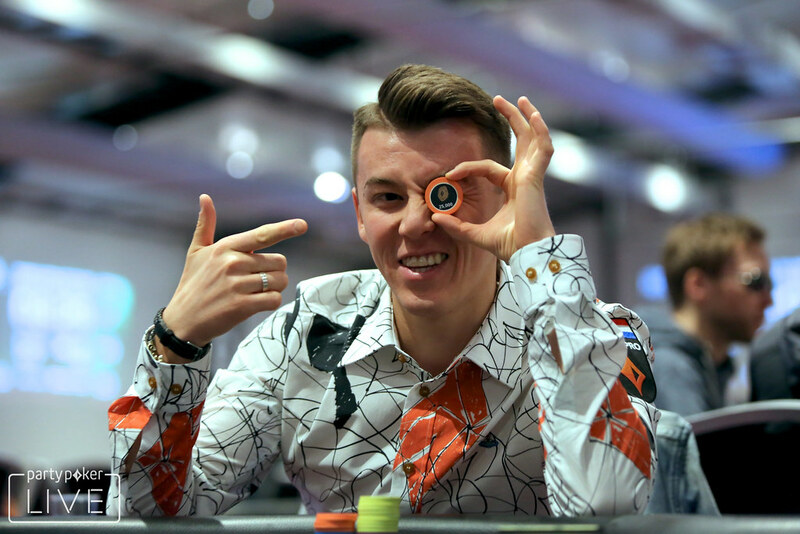 Kristen Bicknell joins fellow Team partypoker members Philipp Gruissem, Anatoly Filatov, Joao Simao, Josip Simunic and Roberto Romanello in the record-breaking event. Gruissem gave the standout opening performance and heads the 230 who made it through unscathed, on 26,865,379 chips. That amount is enough to put the German over 2,700,000 chips clear of second place “hi_all” as eyes turn to Day 2, set to shuffle up on 4 December at 19:00. Among the returning players will be Russia’s “sharb555”, who successfully managed to parlay a $2 satellite entry all the way to a Day 2 stack worth over 11,000,000, good enough for 32nd place so far.